City living has its drawbacks, and one of the biggest sacrifices that people make when choosing to live in an urban area is outdoor space. 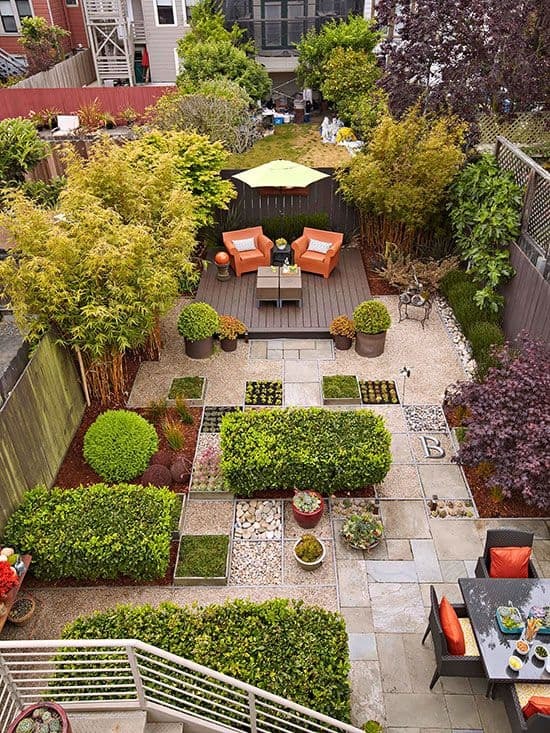 Looking out onto a misshapen, concrete filled yard can be disheartening, and small gardens often end up ignored, becoming neglected overgrown dumping grounds. 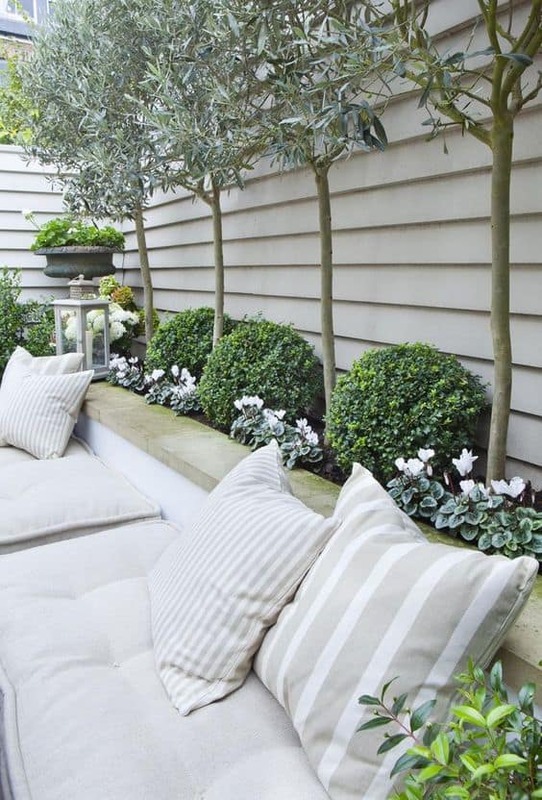 However, all it takes is some design ingenuity and creative inspiration to transform your dreary little patch into a serene oasis, perfect for enjoying on those well-earned days off! Definition is the key! 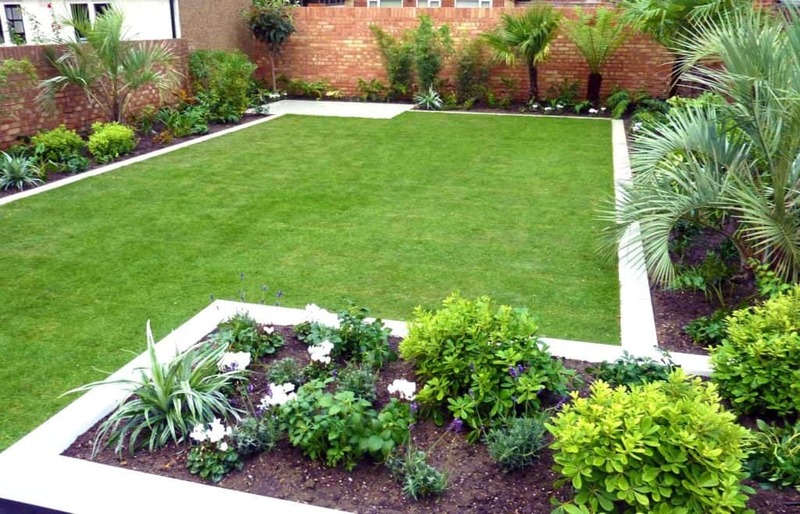 When dealing with small garden spaces, you don’t have the luxury of blending the different aspects of your garden together. Doing so creates a cluttered, confused appearance that negates any tranquillity. 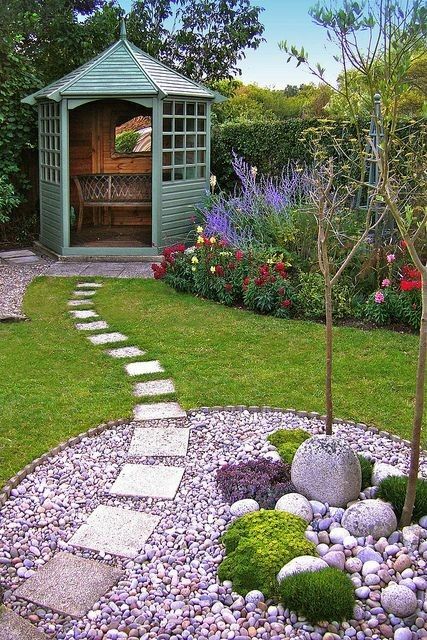 Clear lines and distinct edges give your space more purpose, distracting from the overall size of the garden. The idea of adding multiple features might seem like it will overwhelm your yard, but if done properly, it can actually have the opposite effect. Make good use of different textures and colours to break up the areas. 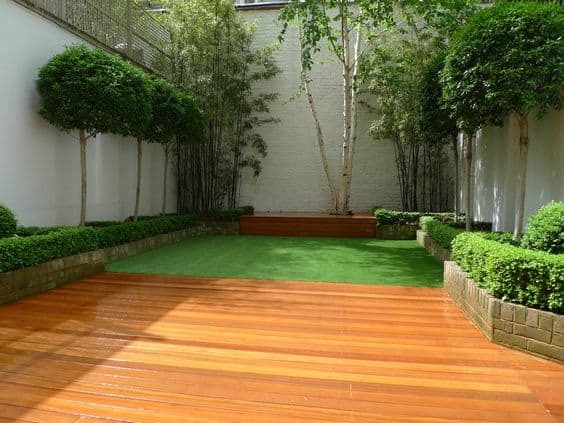 Experiment with alternate ground materials such as decking, grass and paving slabs to visibly separate the space into zones. 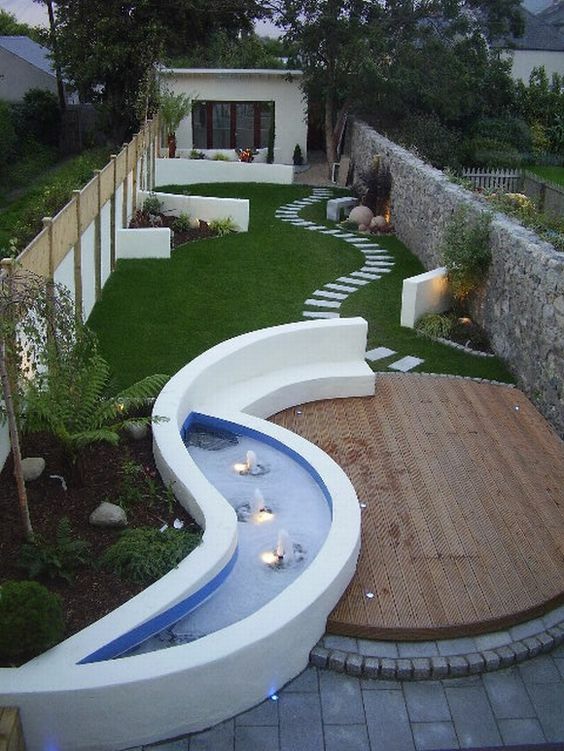 For a low maintenance option, ditch the grass altogether and opt for a mixture of stone and paving slabs instead. Running a simple theme through the space with a few select splashes of vibrant colour can bring the whole garden together. Laying an uncomplicated asymmetrical pathway will have the same effect. If you can’t bear to part with the idea of a lawn, a small strip of astroturf produces the illusion of a lush green patch, without the added hassle of needing to be mowed and tended. Proper layout is crucial for optimizing smaller spaces, so plot your outline very carefully. Symmetry can make a small space seem smaller, so bear this in mind when drawing up your plan. 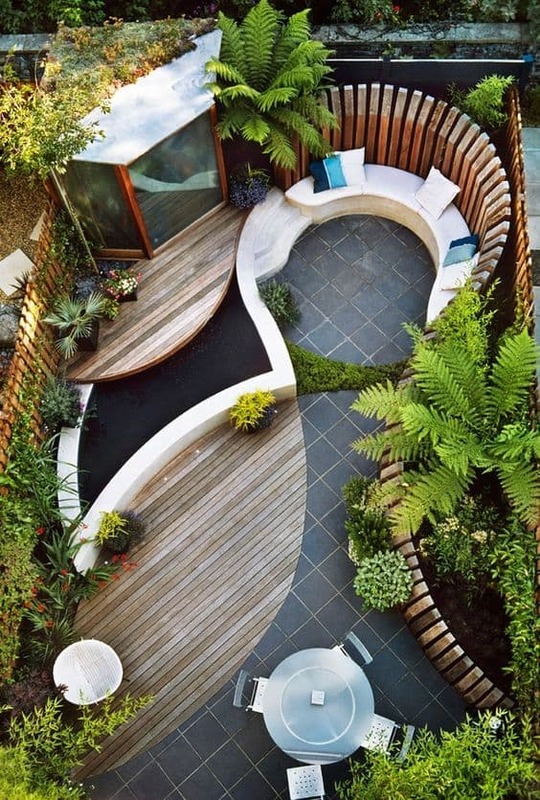 Arranging features off centre will not only make the space more interesting, it will also draw the eye along to the end of the garden, giving the impression of more space. Again, if you are digging a border around the garden perimeter, keeping the shape non-uniform will help. Alternate the width of the border, and plant shrubs and perennials of different shapes, colours and sizes to maximise the design effect. Using a mixture of soil, gravel and stones in your beds will break up the border, creating more diversity and visual appeal. Without a focal point, a small garden will lack a sense of purpose. It doesn’t have to be a complicated feature, something as simple as a gazebo or strategically placed oversized planter will have a huge impact on the landscape. A focal point is a structure that draws the eye through the garden. It should stand out in your space, without overpowering or detracting from the surrounding elements. Consider its positioning carefully! 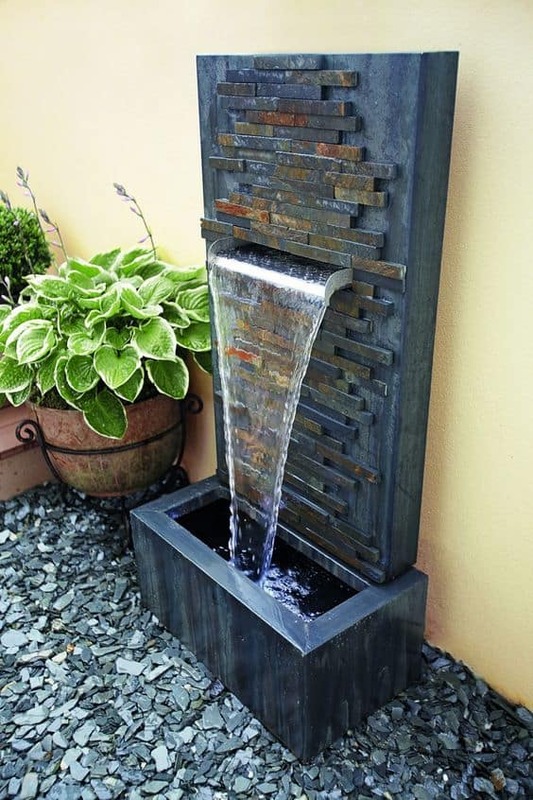 Water features make excellent focal points, while also creating a peaceful, relaxed atmosphere. Surround your water feature with a selection of bright perennials for a stunning effect. Benches, seating arbours and pergolas also work fantastically as focal points. They have the extra benefit of offering additional planting space as you can trail plants and shrubs through them. Garden Mirrors are a brilliant way of introducing light and depth, giving the illusion of more space, while firepits make great centre points for those who enjoy outdoor entertaining and barbecue hosting during the summer months. Stuck for ground space? Make use of your vertical walls and surfaces by planting them up with a variety of vibrant plants, climbers and trailers. Vertical gardening is the perfect low maintenance solution for paved or concreted spaces, saving the hassle of digging out beds while allowing you to add as much colour and life as you like, without taking up your valuable ground area. 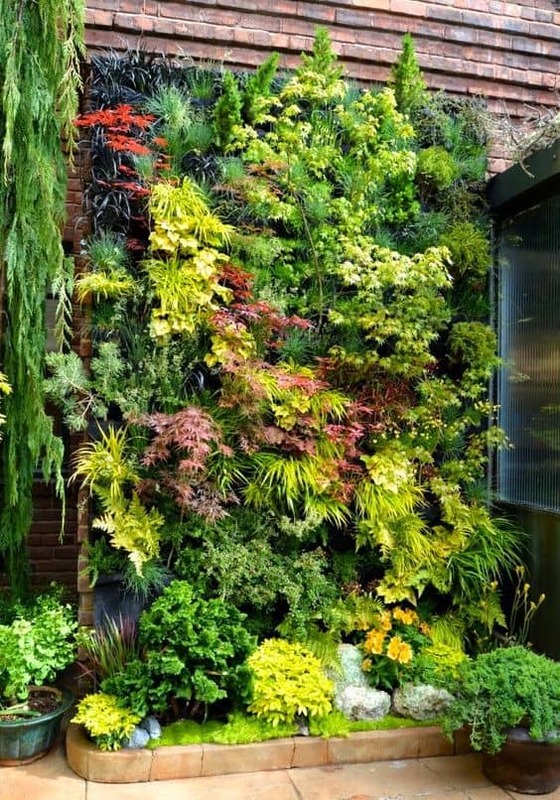 A ‘living wall’ will give a fantastic sense of privacy and conceal bland surfaces such as fences and walls. A vertical garden can be achieved in a number of ways. The easiest option is to mount a frame on your wall or fence which you can then fill with planters. If you lead a busy lifestyle, succulents are a lovely hardy species that don’t require much care or attention. For the more seasoned gardener, a mixed selection of trailing shrubs can convert your concrete jungle into a wonderfully serene retreat. Don’t let a lack of space prevent you from growing your own produce, climbing fruit and vegetable plants will not only add fantastic colour and dimension to the perimeter of your garden, they will also yield delicious produce for you to enjoy! What to Plant in a Small Garden? Choosing what to plant can be difficult when it comes to small spaces. You want to introduce as much life and vibrancy as you can, without cramping the space or overwhelming the features you have. Grow up as opposed to out. This means doing your research and finding plants and shrubs that grow tall and narrow. Keep this in mind for trees too. If your garden is overlooked, lining your walls with planters of bamboo is a great way to add privacy without compromising on space or making the garden feel smaller. Bay trees and hornbeam trees are also excellent for planting along your fence line, and make great topiary subjects to give added style to your space. Big tropical plants build a lovely leafy oasis. Columned evergreens are fantastic all year round. Correct positioning is imperative when planting. If you are opting for bright perennials at ground level, placing the most colourful flowers in the foreground of your garden will cause the rest of the landscape to recede into the background, making the space feel larger. Whether you have a tiny concrete courtyard or a mini jungle, some motivation and a willingness to work is all you need to lift your garden from a bin storage area to a relaxing urban retreat. It won’t happen overnight, but the beauty of a small-scale project like this is that every job you do makes a huge difference to the overall visual effect, and the satisfaction is immense. And there’s nothing better to look forward to at the end of a long work week than a few hours spent with a good book in your own soothing nirvana!